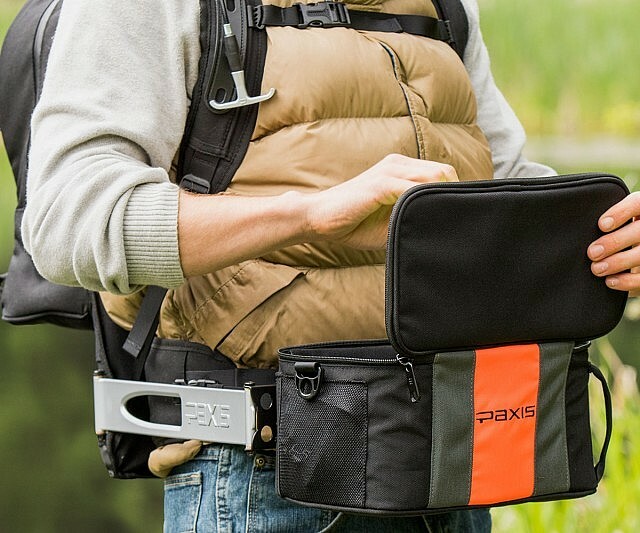 The Paxis Backpack Features A Handy Swingarm | OhGizmo! By David Ponce on 08/26/15 • Leave a comment! The Paxis Backpack is likely to appeal to any serious outdoors enthusiast. Its main claim to fame is that the lower third of the bag detaches from the upper portion and swings around to the front so you can access its contents without taking the whole thing off. Whether it’s your fishing lures, your first aid kit, or any other item that you’ll be needing on a more regular basis, having the option to access it without going through the trouble of removing everything, well, that’s just great. Of course we’re talking about a serious backpack, which comes with a pretty serious price tag at $236. Considering the features though, we figure this is reasonable.